"The go-to for everything you need to createa unique,fresh and fun wedding expirence." 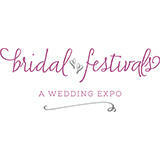 Bridal festivals Wedding Expo is considered to be the Southern Colorado’s largest Bridal Festival Wedding Expo. It’s a platform that one requires to make its wedding experience a memorable one. The event provides you with an opportunity to meet the best wedding professionals, discuss new creative ideas with them, receive expert advice. The visitors can save their time and money and can discover everything needed for their wedding and can make their special day a perfect one. The event provides great food, numerous of wedding ideas and inspiration, and beautiful wedding dresses. I expected there to be more vendors there. I would have liked to have seen more wedding venues represented, and vendors offering samples of food, cakes and wine. Well run, found many interested couples to assist with their venue needs. Very disappointed with the lack of selection of vendor and not all of them were friendly! It was excellent. A little tight on space at times. Bridal Festival Wedding Expo Colorado Springs will exhibit various wedding products and services such as bridesmaids dresses, guest accommodations, specialty gifts, catering, hair stylist, travel, ceremony music, health & fitness, tuxedos, honeymoon, travel, unique wedding products & services, ceremony sites, insurance, valet, chocolate, fountains, invitations, very special venues, jewelry, videographers, dining, bands & orchestras, disc, jockeys, photographers, beauty, favors, bridal accessories, florists, bridal gowns, bachelorette party and many more. 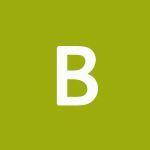 Hotel Elegante Conference and E..